Scotland is a stunning country to visit, filled with a variety of interesting food, stunning landscapes, fantastic opportunity for outdoor sports and so much more to those who travel there. Very few of those who travel to Scotland for the first time will be aware of what most of the country offers as far as attractions and activities go. The outdoor grounds are ideal for country sports and our outdoor Team Building activities. 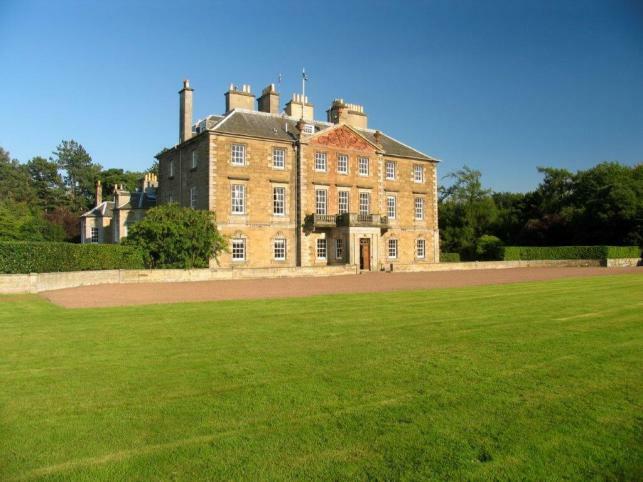 Gilmerton House-conveniently located just 30 miles (38mins) from Edinburgh Airport and 22 miles from the centre of Edinburgh is a handsome Grade A listed Georgian Mansion situated in the heart of East Lothian, one of Scotland's most picturesque counties. The estate comprises of one thousand acres of which 100 acres are woodlands and walks. Gilmerton House is a magnificent home owned by the Kinloch family, whose ancestors have lived there for twelve generations. For the past 20 years the house has been operating as a successful exclusive use private venue. Gilmerton House offers an exceptional level of accommodation and comfort, matched with our professional and experienced service; the house is suited to any social Evening Entertainment event or Team Building corporate event. Gilmerton House is a handsome Grade A listed Georgian mansion, situated in the heart of East Lothian, one of Scotland’s most picturesque counties. The beautiful grounds are perfect for your next Outdoor Team Building event or Corporate Family Fun Day. You can choose from a huge selection of activities from Laser Clay Pigeon Shooting to Bouncy Castles or even a 100ft Assault Course. With so much Inflatable Fun and Target Zone activities to choose from at Gilmerton House, your next Team Building event is sure to be a hit for every one at every age.